I was thinking of removing that twig in the photo before making the shot, but thought better of coming too close to the Snapping Turtle. Thank you for your comments. 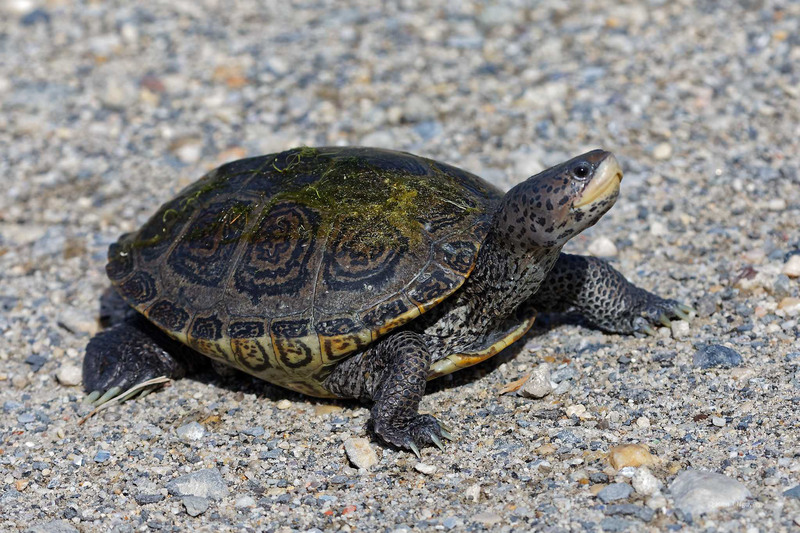 I had never heard of the Diamondback Terrapin before, so I learned something today, which is always a good thing. Your photos of the turtles are excellent as usual, as even they have personalities that you’ve captured. Thank you Jerry! 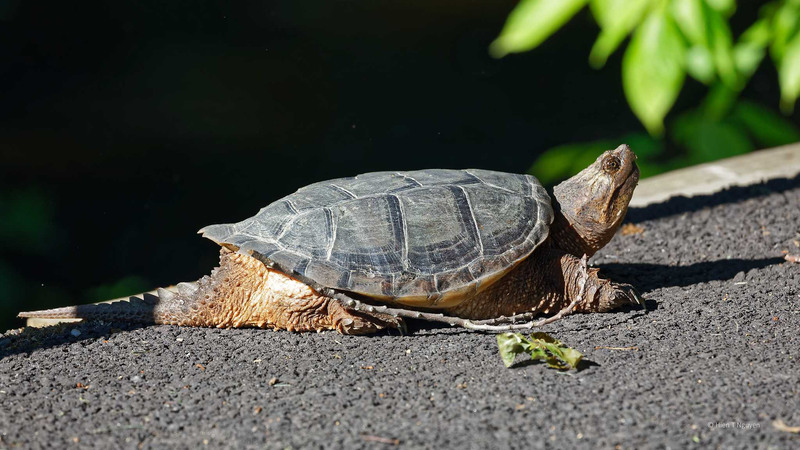 Terrapins like brackish water, so you’ll have to come out East to see them. They don’t look like they were speeding across that road at all, but stopping to have their pictures taken. Great photos, Hien! They do take their time to cross the road, but once in a while they stop and crawl back to the sides. Thanks Emma! Strikingly coloured specimens, Hien, and wonderfully photographed as always! These guys are pretty animated Hien – great photographs! I think it is mating and nesting season, so they are more visible now. Thank you Mary! We used to get turtles running around where I grew up. Sometimes we had to stop the car to help one out of the way 🙂 Great pictures. Thank you for commenting M.B.! Great captures! DBTs have such a lovely shell. Though I believe the last one is a snapping turtle. 🙂 Your post reminds me I need to put a towel in my car to aid crossings in the days ahead. Thank you Eliza! I made the correction on the last picture, and added a sentence about Snapping Turtles being of Least Concern. I should have known better: Colonial Lake is a sweet water lake near us, and Terrapins would not live there. I have never seen them before! 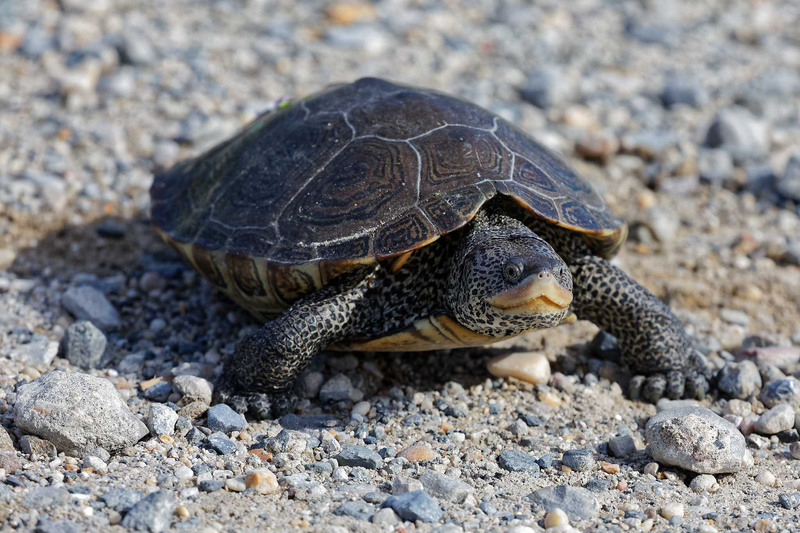 Aletta, Diamondback Terrapins are native to the Eastern shores United States and to Bermuda. That’s why you haven’t seen them in your region. Thanks for the info Hien! 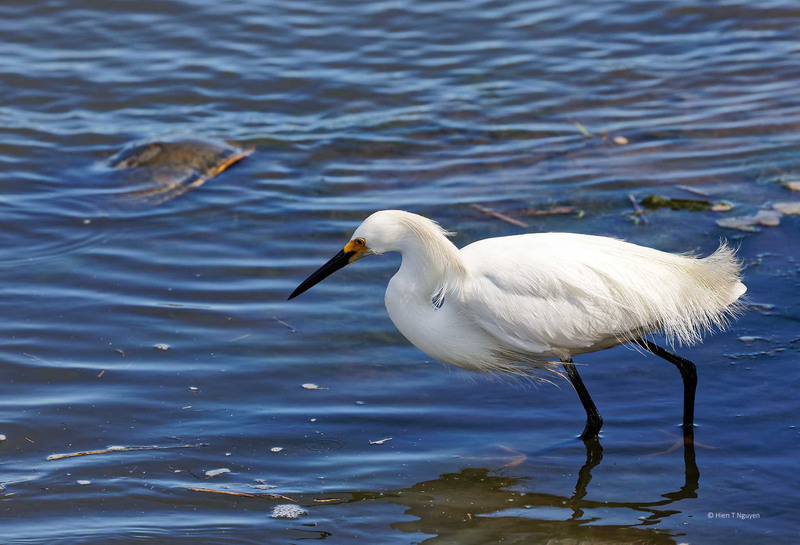 Fantastic photos of the diamondback terrapins, Hien.